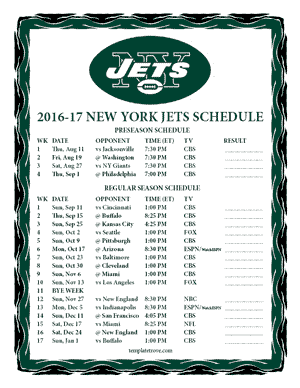 The Jets were 10-6 in the 2015 regular season and narrowly missed the playoffs. 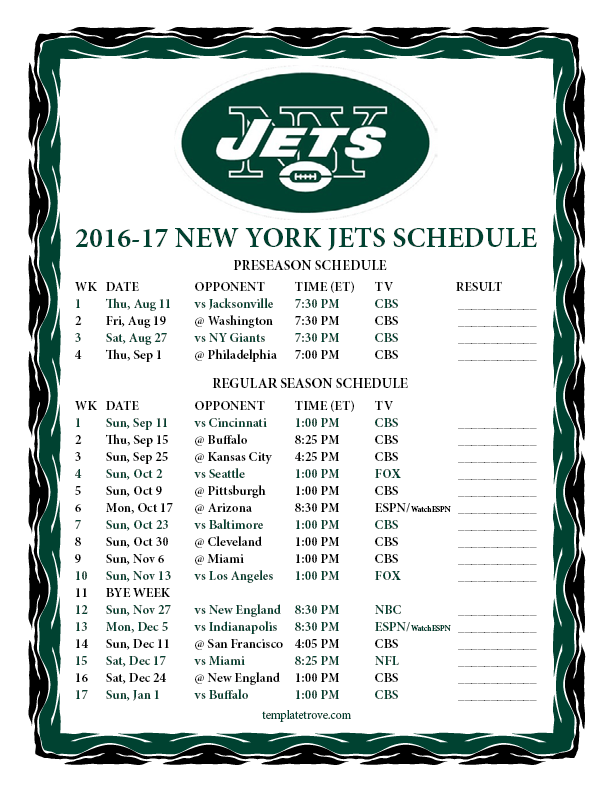 The Jets were last in the playoffs in 2010 where they lost the AFC Conference Championship game 24-19 to the Steelers. New York competes in the AFC East with the New England Patriots, Buffalo Bills and the Miami Dolphins. The Jets will place two Monday Night Football games this season, week 6 at the Arizona Cardinals and week 13 at home, where they will face the Indianapolis Colts. They will also play a Thursday night primetime game week 2 at Buffalo and a Sunday night game week 2 at Buffalo.